While Arron Wood has had a lot of different jobs, they have all been for the same reason; to try and make the world a more environmentally and socially sustainable place. He’s this week’s Changemaker. Growing up on the banks of the Murray River in northwest Victoria, Wood’s connection to, and concern for, the environment started at a young age. His childhood home sat on the edges of the Kings Billabong, which he would swim in most days. He recalls however, that after one of his swims he came out with a rash. The rash was a result of the blue-green algae blooms, which are created through human interference in waterways and can be toxic to people and wildlife. It was this experience that set him on a path to make a change. He’s since held roles in state government waterway management, he started the charity Kids Teaching Kids, which empowers young people to be sustainability advocates of the future, and he has led ground-breaking renewable energy projects as City of Melbourne deputy lord mayor, in a bid to make a difference to the environment. He is also set to MC the the upcoming National Clean Technologies Conference at the end of May, held in the Sunshine Coast. In this week’s Changemaker, Wood discusses his varied career path, finding success at a young age, and why your own wellbeing has to take a front seat in your career. What inspired you to get started in the sector? I didn’t actually have a career path mapped out so to speak, I just knew that I loved the environment. I grew up in Mildura, a town in northwest Victoria. Our front yard was literally a billabong, called Kings Billabong. 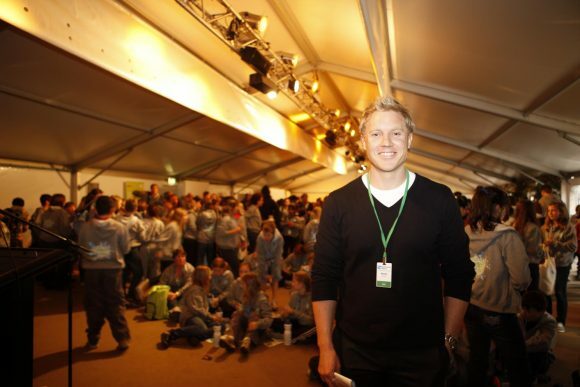 Being in that environment all the time was really what led me on the path to get involved in the sustainability sector. Was there a specific moment when you realised you wanted to do something about the environment? I had one of those moments when I was quite young. We used to swim in the billabong all the time, and after one particular swim, I came out with a rash which was from the blue-green algae blooms. I talked to my dad and asked about the algae, and he told me they were often caused by runoff from fertilisers, and too much pumping of water, making the water stagnant. It was a bit of an eye-opening moment, where I realised humans can really have an impact on this beautiful, natural environment. That set me on a path to continually come back to the environment and sustainability space. It did take me a bit longer to find my feet however, in terms of the social and wellbeing part of the environment. Ultimately, even the environment has a human element to it. When you’re talking about clean technology and renewable energy, you can get the technology right, but unless you get the policy settings right, and you get people to buy into that change, you really don’t see the change you need to bring about a much more sustainable future. What have you done in your career that has inspired that, and got that message out there? Twenty years ago, I started a program called Kids Teaching Kids. I was working for the state government, in waterway management up in the Murray River. We just had the same people turning up all the time to any project or any information session we put out there. It was a bit frustrating and I started to think, how do we get this message out to the wider community? At the same time, my dad was a primary school principal, and he was really struggling with a school that was failing in numeracy and literacy, and had a lot of behavioural issues. He thought if he could take some of these kids out of the classroom environment into a natural environment setting, then maybe he would get some behaviour change. Our first little event in Mildura was really simple, where kids chose an environmental topic to do with flooding. I mentored them on the science of it, and then they presented that back to their peers. From there it really exploded in terms of how many schools became involved over the years. So far, we’ve had 135,000 students go through the program in every state and territory of Australia, and even some in New Zealand. Wood running a Kids Teaching Kids event. What kind of changes have you seen in those kids? We were really focused on sustainability that wasn’t just about the environment, but on how you build resilience in young people and increase wellbeing. After our first event, we spent six to 10 years researching with the help of independent research institutes, and found through cooperative approaches to teaching and learning, and giving kids responsibility for their own learning, they felt empowered and felt like they could have an impact on their future. You see that with things like the school climate strike, that young people want a voice. What we did was give them that voice and through that came really strong environmental understanding. Not only was there more scientific understanding around sustainability, but we also saw increased rates of wellbeing and confidence, an ability to work with others, and to problem solve. All those are key planks in building resilience in the next generation. It also inspired a whole lot of real projects, so if students decided to present on a waste topic, they might present that to their local government, and then all of a sudden, a clean up day would occur and they’d pull out tonnes of rubbish. Across that 20 years, we’ve seen so many projects as a result of kids using their voice to inspire real action. Right across waste, energy, water, climate change, biodiversity, and coastal conservation. How are you using your position as deputy lord mayor to push a message of sustainability? I’ve got quite a number initiatives I’m proud of, but probably the biggest one, a push for large-scale renewables, has come to fruition this year after three years of work. The City of Melbourne is a dense city, and I wanted to find out how we could stretch renewable energy targets. Because of the density, we can only put so many solar panels on rooftops, which we’ve done by putting them on child care centres, family services, public pools and so on. But we realised that if we were going to go 100 per cent renewable, we needed a large-scale facility. The other thing we realised was that we didn’t control much in the way of buildings, or even land in the city, so it had to be done in partnership with other big brands of Melbourne. 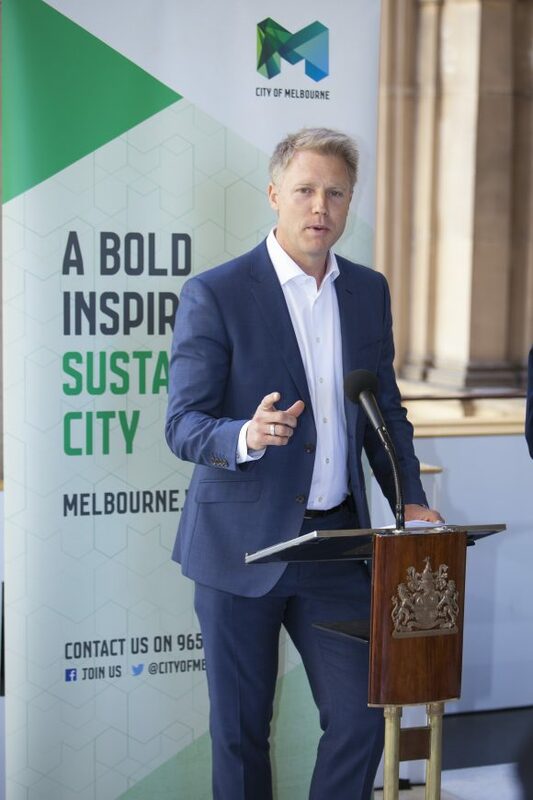 The Melbourne renewable energy project brought together City of Melbourne, other local governments, big corporations, universities, and the Melbourne Zoo. We put our energy loads into a group purchasing tender, which Pacfic Hydro won. As of 1 January 2019, a regional wind farm operated by Pacific Hydro now offsets 100 per cent of the City of Melbourne’s energy and electricity, and creates enough energy to power 17,600 average homes. That’s the project I’m most proud of. You were recognised at a young age, what advice would you have for other young people looking to get into the sector? I guess my message is two-fold. One is to make the most of your opportunities, because they are always walking by you. I wasn’t the best student in my class, or the most driven, but in the end it was just about saying yes to as many things as I could over time. The other message is that having that success at a really young age is a bit of a double-edged sword, because you feel a great sense of responsibility, and people will continually come to you for advice or help. But you’ve also got to look after yourself, because if you aren’t, then you’re no good to anyone. You can really make some amazing inroads into your passion or dream by just taking opportunities that are presented to you, but always be on the lookout for what’s important in life, and looking after yourself. The interesting thing is I’ve done lots of different things over my career, but they’ve all been about trying to bring about change in the sustainability sector. I guess my first realisation was that if you skill-up the next generation with knowledge and give them the capacity to use their voice, then that could be generational change. Then I realised that if you don’t impact politics then that’s a huge short-fall in terms of changing policy. 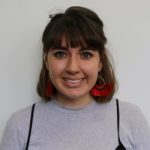 That was the reason behind going into the council and the deputy lord mayor role, and similarly, going on boards and committees like Sustainability Victoria, and South East Water. The real impact on me, is no one thing is going to bring about the change you want to see, and also that you aren’t going to bring about that change yourself. Individuals can do amazing things, and lead by example, but really if you want to bring about change, we’re so much more powerful together. There’s no more important time than right now, where we are seeing divisive politics, and extreme views to the left and right getting louder and louder. That need to come together is really important.